For a long-lasting romantic gesture for your loved one, choose a Valentine's Day gift that keeps giving well beyond the holiday. While roses may fade and chocolate is quickly consumed, naming something after your beloved provides years of enjoyment. And many options support a worthy cause - giving you extra romance bonus points! Think your Valentine is a star? Put his or her name on one with the International Star Registry Custom Star Kit ($50 on StarRegistry.com). 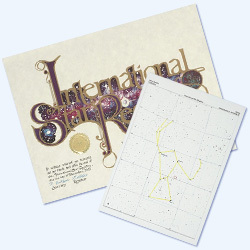 The package includes a certificate with the star name, date and coordinates, plus a 12- by 16-inch sky chart with the star name, star date, the constellation and the location of the star circled in red. The International Astronomical Union, the official authority that designates stars, planets, asteroids and other heavenly bodies, won’t recognize the naming, but it’s all in good fun anyway. Who doesn’t like a cute, cuddly penguin? With the International Penguin Conservation Work Group’s Adopt a Penguin program ($55 per year on Seabirds.org), you can adopt and name a Magellanic penguin in South America. You’ll get regular news and photos of your penguin, a digital copy of Mike Bingham's book "The Penguins of South America" and a map to that shows the exact location of your penguin’s burrow. Yes a burrow. 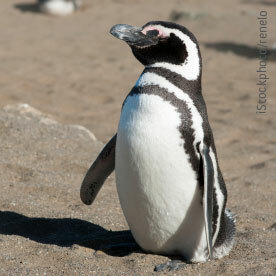 Magellanic penguins live in burrows, which is how the organization can identify yours. Evidently it’s illegal to tag a penguin with your name—even if you wanted to. Roses are always appreciated on Valentine’s Day, but a rose that is hers by name is truly special. 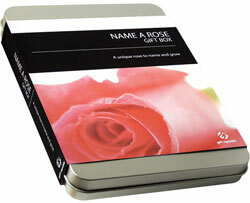 In the Name a Rose Gift Tin ($39.99 on SimplyPersonalized.com), you’ll find the seeds for a unique hybrid, plant markers and a rose growing guide. Register the name of your new hybrid and it will appear in the International Rose Naming Registry. She’ll have to sow and grow her special rose before she can enjoy the blooms, but it will be well worth the wait. There are more than 9,000 benches in New York City’s Central Park and one of them can bear a plaque with your Valentine’s name and a short inscription. 2,000 benches have already been claimed, but you’ll have your pick from the remaining thousands. Choose from a regular bench for $7,500 contribution to the Central Park Conservancy or a hand-made rustic bench of $25,000. 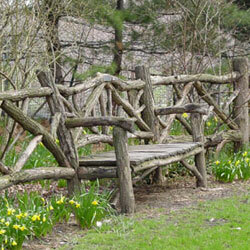 If you're not a New Yorker, visiting your bench would be the perfect excuse to plan a romantic getaway. For those willing to think outside the chocolate box, nothing says “I love you” more than a Madagascar hissing cockroach bearing your beloved’s name. These roaches can produce tens of thousands of offspring in their lifetime, so they must be doing something right in the romance department. 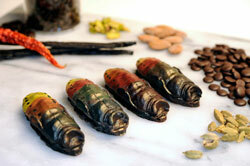 $10 buys an ecard introducing the roach and for $25 your Valentine will also receive a "Cocoa-Roach", a hand-painted artisanal chocolate roach. And the proceeds benefit the Wildlife Conservation Society, a worthwhile cause. There are so many cute ideas in this article, like naming a star after your Valentine! I’ve been trying to buy something permanent for my husband for our anniversary since this is our 30th anniversary, and I want to get him something to show him how much he means to me. I’m so glad I found this really interesting article on what to buy your love to show them how much they mean to you, thank you!